Jim Sands, age 71, of Clarinda, Iowa entered into peace Saturday, January 26, 2019 at Clarinda Regional Health Center, Clarinda, Iowa. Funeral Services will be held 10:30 AM Wednesday, January 30, 2019 at St. John Lutheran Church, in Clarinda, Iowa with Pastor Jerry Wagoner officiating. Visitation will be held Tuesday, January 29 at Ritchie Funeral Home from 5 to 7 PM with the family greeting friends. Interment will be held at the Clarinda Cemetery in Clarinda, Iowa. Memorials may be directed to Jim Sands Memorial. Memories and condolences may be shared with the family on our website at, www.ritchiefuneralhome.com under Obituaries. Arrangements were entrusted to the Ritchie Funeral Home of Clarinda, Iowa, where we ‘Celebrate Life’. 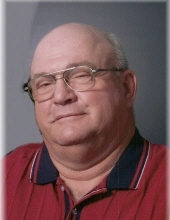 James Russell (Sudsy) Sands, age 71, from Clarinda, Iowa entered into eternal rest on January 26, 2019 at the Clarinda Regional Health Center. He was born at home in Sheridan, Missouri on October 18, 1947 to James A. Sands and Edith (Musick) Sands. Jim was baptized in the Platte River in Sheridan, Missouri. He graduated from Bedford High School in 1966. Jim served in the United States Army for two years in Vietnam. On July 23, 1972, he was united in marriage to Linda D. Royer at St. John Lutheran Church, Clarinda, Iowa. Jim was confirmed at St. John Lutheran Church, December 27, 1981. Jim and Linda were blessed with two sons, Troy and Todd. Jim worked as a mechanic at the O’Brian Brothers Sewing Factory for two years. He then worked at the Mental Health Institute from 1974 – 1980. In 1980, he began working as a correctional officer at the Clarinda Corrections Facility. He worked at CCF until his retirement in 2015. The family moved to a farm acreage on Highway 2 in 1984. He enjoyed riding horses, gardening, fishing, hunting, camping and also did some wood crafting. His greatest enjoyment was spending time with family, his grandchildren and friends and going to Branson, Missouri. Preceding Jim in death were his parents; step-father; and infant daughter from a previous marriage. Left to cherish his memory are his loving wife of 46 years, Linda Sands of Clarinda, Iowa; sons, Troy Sands and wife Jenn of New Market, Iowa and Todd Sands and wife Karen from Georgetown, Texas; grandson, Brady Sands from Clarinda and granddaughters, Whitney and Sydnee Sands from Georgetown, Texas; a step brother and two step sisters and their families; uncle, Larry Musick and wife Pat from Sheridan, Missouri; cousins, Richard Cordell and wife Sue from St. Joseph, Missouri and Rick McNeese and wife Paula from Hopkins, Missouri; other relatives and many, many friends. "Email Address" would like to share the life celebration of James Sands. Click on the "link" to go to share a favorite memory or leave a condolence message for the family.